I have an old full interior seats from a 50th in rayleigh trim. 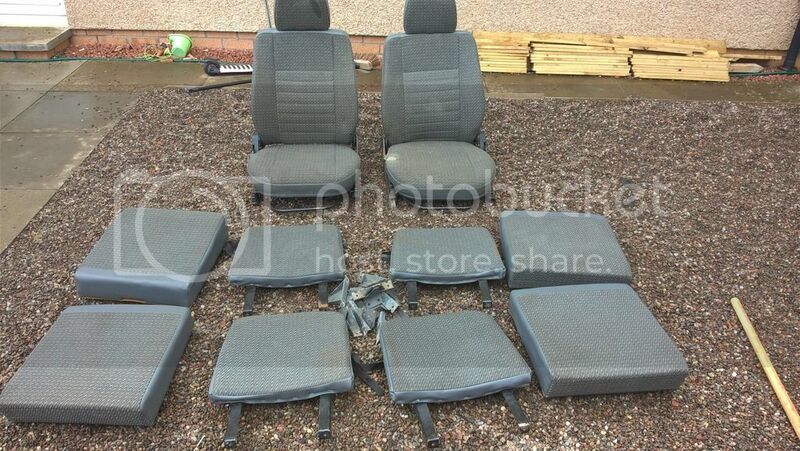 The have seen better days but can be used and the cloth is intact on all seats except one base that has a small rip. If interested let me know an I will send on some pictures.